Discussion in 'PC Gaming & Rigs' started by pottsy123, Mar 11, 2013. Any good or can I get better pre builds for money? Have to say looked at alienware X51 and that looks ok too. Is there much of a difference with i5 or i7? I went through the exact same thing as you a few months back. For the most part i5 = i7 without hyperthreading (99% of games cannot utilise hyperthreading) so an i7 is not really needed. I also looked at some pre built machines from Chillblast but honestly even a complete novice can put a PC together in a few hours. Even though I am somewhat experienced computer user I had not messed around with any custom PC stuff before yet I managed to tear apart a water cooled PC and built it into something completely new within 5 hours start to finish, most things only fit in one place and there are loads of guides on the web. The specs you listed look OK but if buying the components yourself you will end up with something more powerful / quieter and for less + future upgrades will be easier if you built it yourself to begin with. I'm sure the other guys here can help with updating you on anything missing in that thread. The X51 doesnt have as much power as the setup above but its quite a nice machine. I ordered one last week and after getting the run around from Dell cancelled after a day.. Seriously their customer service is shocking. As for the spec you listed, I've just bought near enough the same spec parts (arriving today ). I did some research and the setup seemed good enough to get back into the pc gaming fold. The only difference I has was the GPU as a fair few people said try the 7870 or if you can stretch the buget a gtx660 ti will give you a little more power. .. wish id gone for the i5 3570k mind, I didnt get the k cpu as Im doing an itx build. I just built my first pc a few weeks back and I was very surprised as to just how easy it really is, from start to finish it took about 3 hours with no issues booted up first time and has been running like a dream since. 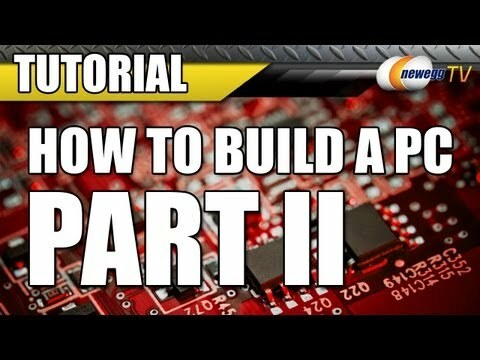 I would definitely recommend going down this route as you will save money and get better components. Have a look at this link there are many more guides out there but i found this one pretty good to start with. LG 65”C8, Sony X700 BD, Yamaha RXV1073, HTPC, Kef IQ7SE, IQ3, IQ60C, SVS PB13u, Sky HD. The chillblast looks like a good machine. My dad bought one and they were very helpful. Difficult to justify buying the bits and doing it yourself for the price they are selling it for. True that it isn't a bad price for a pre built but I wouldn't say it is difficult to justify doing it yourself, the money saved would allow for an ssd and the ability to avoid "chillblast basic PSU" and "generic paste" is win win. Thanks for the help! Got to say the more I think about it I like the idea of a self build! Will probably do down that route if I can get the right prices. I did a self build mate and I have to admit I enjoyed it...had lots of helps from mates admittedly but I know better now. I've only just finished it though so still lots to work out (especially WIN8!!). The actual build bit is pretty straightforward tbh! So long as youcan use a screwdriver its a doddle, my issue was with cabling. I felt like a right fool not having a clue and having to take it to someone else to do. First guy didnt have a clue (think he was more used to standard dell home pc's than a custom built pc) so I took it into a shop. Felt like a right div as they were saying its a 5-10 min job and they'll sort it for me. An hour and a half later I started to think this wasnt as simple as they thought as they are boasting about the custom built gaming pc's they've made with water cooling etc I started thinkikng then maybe I was right to bring it in to get sorted. When they turned it on I was definite it was the right choice to bring it to them. Until smoke poured out of the side and cables fried. Now these are so called 'experts' in this shop. You can do it mate, build it yourself!